Key Difference: Poem is a piece of writing that has features of both speech and song, whereas the poetry is the art of creating these poems. Poetry is also used to refer to poems collectively or as a genre of literature. You may remember kindergarten poems or nursery poems as your first encounter with poems. They are written in metrical rhythmical lines. These poems of kindergarten are simple, mostly funny, and are generally taught by singing. Most of the times, for children it is easy to understand the message through a poem rather than a text. Poems are not only limited to these childhood memories, but they cover vast spectrum of styles, genre and other complex ingredients. A poem can be described as “something made or created”. A poem consists of grouping of words known as stanzas. Poetry is a word of Greek origin meaning “to make, to create”. Poetry can be understood by saying that it is an art of composing the poems. It is referred as an art because poems are used for communicating beautiful, imaginative or elevated thoughts. Now to understand the relationship of poem with the poetry, we can consider an analogy. Consider a relationship between pottery and the pots made by a potter. A potter makes various kinds of pots. The pottery is considered to be an art of making pots. Similarly, a poet composes poems and the art of making these poems is known as poetry. Earlier Greeks mostly used poetry for the celebration of their heroes. For example, the earliest known Western poetry consists of the Iliad and the Odyssey famous poems. 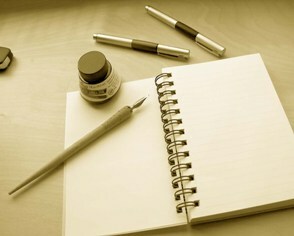 We can also say that poetry is an art of creating poems and poems are obtained as a result of poetry. Sometimes poetry is also used to describe a group of poems, which may or may not be related by theme, author, or style. Poetry in English and other modern European languages often uses rhyme. 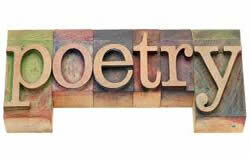 Poetry consists of elements like imagery, diction, sound, metaphor and theme. As poetry is a word of Greek origin meaning “to make, to create”, a poem can be described as “something made or created”. As both refer to rhythmical composition that is written or spoken for communicating beautiful, imaginative or elevated thoughts, they are used in the same context; poetry as art of creating poems and poem as a result of poetry. A poem comes out as a literary creation made from arrangements of words forming rhythmical lines. A poem can also be described as a composition written in metrical feet with elements like meaning and music. Poems can be found in these three main genres of poetry: lyric, narrative, and dramatic. Poetry is also used to describe a group of poems, which may or may not be related by theme, author, or style. may i know from where the source? what the tittle book?